Bio: Mr. Bishop has over thirty-seven (37) years of experience in the areas of civil engineering, structural inspection, structural design, roadway design, residential and commercial building design, construction engineering and inspection (CEI) management, contract administration, and materials engineering. Mr. Bishop has coordinated the contract administration activities, as well as supervised as many as five inspection teams that included inspectors and materials testing consultants, for numerous roadway widening and/or resurfacing construction projects in Columbia, Hamilton, Suwannee, and Dixie Counties. 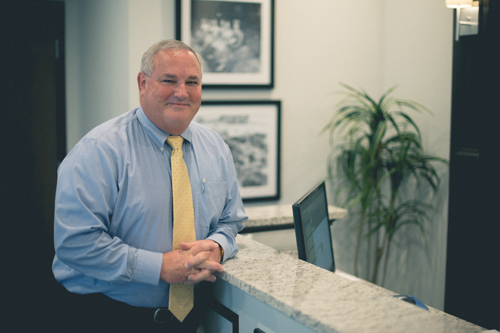 Before founding North Florida Professional Services, Mr. Bishop worked for the Florida Department of Transportation (FDOT) for over fifteen (15) years. While at FDOT, Mr. Bishop served five (5) years as a construction project engineer and later as a Resident Engineer. As a Project Engineer, Mr. Bishop supervised the construction of many projects ranging from small highway capacity improvements to multimillion dollar bridge and building projects. His responsibilities as project engineer included assuring compliance with all plans, specifications and contract documents by the contractor and providing clarification and interpretation of the plans and specifications for the contractor. He and his staff of inspectors handled all inspection duties, material certifications, shop drawing reviews, progress payments, and final estimates. As the Resident Construction Engineer, Mr. Bishop supervised a staff of forty-two (42) engineers, inspectors, and other support personnel. He was responsible for the construction, engineering and inspection (CEI) of FDOT projects in an eight (8) county area. He supervised the inspection and certification of precast drainage structures, concrete pipe and pre-stressed concrete bridge components used on FDOT projects. Other duties during his six-year tenure in the District Materials Office included supervision of the materials testing laboratory, budget preparation for the Materials Office, and management of consultant contracts. He also coordinated several special research projects and investigations involving soils and pavement. In his last assignment with Florida Department of Transportation, he served three (3) years as the Director of Transportation Operations, where he was responsible for all construction, maintenance, traffic ops, and material testing activities in District 2.